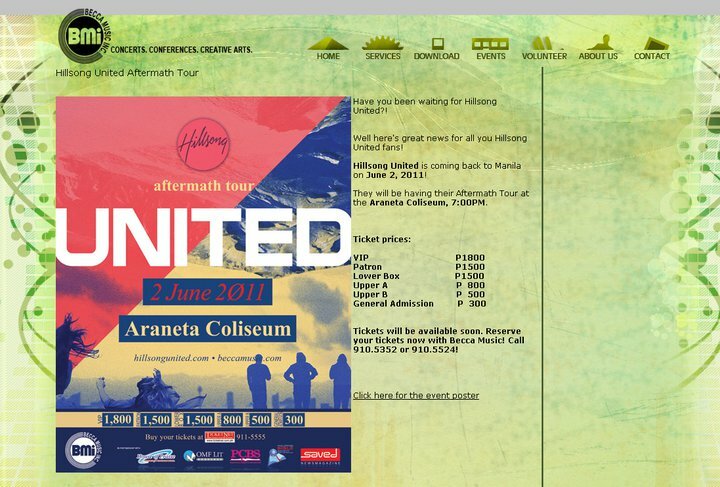 This 2011, Hillsong has an Asian Tour again. I wanna go on one of their tours. How about you? As a Christian, I wanna see how blessed they are! If you wanna blessed too, get tickets now! 4minute & G.NA wish their fans a happy Valentine’s Day! In the spirit of Valentine’s Day, labelmates 4minute and G.NA gave their fans heartwarming video messages through their official YouTube channels! Like the Hallyu stars that they are, 4minute greeted their international fans in their respective languages, asking every fan to be their valentine. On an individual scale, leader Jihyun greeted fans through 4minute’s official fancafe, while maknae Sohyun reached out through her personal Twitter, completing the girls’ ’six language’ love confession. Meanwhile, G.NA greeted her fans in fluent English and gave shoutouts to her international fanbase. Expressing her desire to hopefully meet them all soon, the idol wrapped up by cutely asking her fans if they would be her valentine. When 2NE1’s highly-anticipated first album hit shelves back in September of last year, no one predicted that it would achieve the explosive results that it did. With a staggering amount of pre-orders, over a million YouTube views for each of their triple title-track MVs, and a triple-crown win, the ladies of 2NE1 can add yet another accomplishment to their ever-expanding resume. According to data compiled by the Philippines’ music retailers, Astrochart/Astrovision, 2NE1’s album “To Anyone“, became a #1 best-seller! Not only that, but their “First Mini-Album Re-package (CD+DVD)” also claimed the #2 spot on the chart. The girls wanted to personally thank their Filipino Blackjacks for making this achievement possible, so they uploaded a video expressing their thanks in Tagalog. 2NE1: Mabuhay Philippines! Wassup, we 2NE1! Asianovela superstar, Lee Min Ho, popularly known in the country as Gu Jun Pyo, in the phenomenal idol drama Boys Over Flowers, is back on primetime alongside Korea’s Queen of Drama Son Ye Jin to bring you a different kind of love story in ABS-CBN’s newest soap PERFECT MATCH. The soundtrack for “Perfect Match” features a local adaptation of the Korean soap, with renditions of the theme song “Ito ang Pangako Ko” sung by Nyoy Volante, with another version from Sabrina respectively, as well as other tracks “Saranghe” by Sabrina, “Can’t Believe It,” “My Heart is Touched” and more. The special release also comes with a bonus dvd of selected tracks and videos. At aaminin ko sa’yo mahal kita. On January 1st, she revealed that she has gotten closer with 2AM’s Seulong after he chose her as his ideal woman, and even chose him as the person she sends texts to the most. She then introducedBrown Eyed Soul’s Jung Yeob as a close friend she often goes out drinking with, impressing many with her close ties to the music industry. We are just moments away from the 2010 ‘SBS Entertainment Awards‘, and stars have already started to walk the red carpet at the MBC Dream Center in Ilsan-gu. The ‘SBS Entertainment Awards’ is held annually to acknowledge those who have excelled or made MBC entertainment programs enjoyable for viewers in the year 2010. Idol stars who walked the red carpet include KARA’s Nicole, IU, f(x)’s Luna, ZE:A’s Kwanghee, CNBLUE’s Jung Yonghwa,and 2AM’s Jo Kwon. They’ll be having a busy night shuttling to KBS Hall afterwards for their performances at the 2010 ‘KBS Music Festival‘. Other stars who attended the ceremony included Jang Yoon Jung (MC), Jung Ju Ri, Kim Hyo Jin, Kim Young Chul, Lee Moo Song, Noh Sa Yeon, Seo In Young, Jung Ga Eun, Kang Ho Dong, Lee Seung Gi, Yoo In Na, Jo Hye Ryun, Noh Hong Chul, Yoo Jae Suk, Song Joong Ki, Ji Suk Jin, Song Ji Hyo, Kim Jong Kook, Gary, Haha, and Lee Gwang Soo. Looks like puppy’s having a good year. Triple threat singer/actor/MC Lee Seung-gi (My Girlfriend Is a Gumiho, Brilliant Legacy) is playing with the big boys now—he’s been nominated for SBS’ MC Daesang, up against veteran heavyweights Kang Ho-dong, Yoo Jae-suk, and Lee Gyung-gyu. There’s not so much a chance in hell that he’ll win, but that’s not the point, as being nominated with these guys is pretty much the highlight for such a relative newbie like him. I say relative, of course, because compared to these comedians (all three come from the gagman-to-MC camp), 23-year old Lee Seung-gi is just a kid. Lee Gyung-gyu debuted before Seung-gi was even born; Kang Ho-dong debuted in 1988, Yoo Jae-suk shortly after in 1991. But despite his greenness, there’s something about Seung-gi that almost everyone universally acknowledges: what Koreans would call MC-chaejil, meaning he was born to do this. He has this disarming way of making everybody love him, which isn’t so hard to believe since he’s everything from the Nation’s Little Brother to Korean moms’ number one pick for a son-in-law. He and Kang Ho-dong have fantastic chemistry as an odd couple, on bothStrong Heart and KBS’ 1 Night 2 Days, and frankly, theirs is my favorite tv bromance, because it’s real, and completely adorkable. I think what makes him good is that he’s natural in front of the camera and doesn’t shy away from being himself, which is dorky and funny and naive. But his success as an MC has everything to do with Kang Ho-dong, who isn’t afraid to look bad while making Seung-gi look good. Together they have this great comic timing that makes them click. I have no doubt that the real battle for the award will be between Kang Ho-dong and Yoo Jae-suk, as they are both at the top of their game and always neck-and-neck for the year-end MC awards. But it’s nice to see Seung-gi coming up in the world. Lee Seung-gi and Kang Ho-dong (bottom right) are both nominated for Strong Heart (and Kang Ho-dong also for Star King); Yoo Jae-suk (top right) for Running Man; and Lee Gyung-gyu (top left) for Star Junior. The SBS Awards will air December 30. 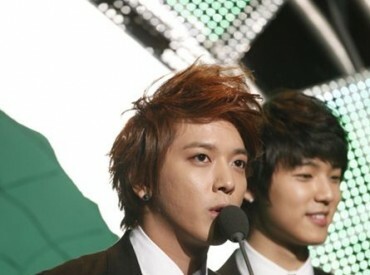 On the 18th, CNBLUE held their official second concert, ‘Feel The Blue‘ in Seoul. Being their second concert since the summer, the group showcased both their Korean and Japanese songs, proving to their fans that they have made a great improvement since their debut. As the holiday season is also near, the members performed several Christmas songs, warming up the sold-out crowd in the chilly weather. In return for such a wonderful concert, fans of member Jung Yonghwa provided a dinner truck for all of the concert staff and the members, ending everything off on a happy note. CNBLUE will also be holding a Christmas concert in Busan on the 24th.